I would love an option to browse the photos library directly from publisher and /or link directly to images in the photos app library. I know this is probably rather used for private projects but there at least it could greatly improve workflows on image intense projects. I may not quite understand your request, but have you tried the FILE>PLACE option? I tried it and was immediately connected with my entire PICTURES library on my MAC. I chose one photo, and it immediately came into my Publisher document. Hope this helps. Works well with File Explorer as well. I believe noidplz problems come from the default options in Apple Photo app that stores all the photos internally in the app. 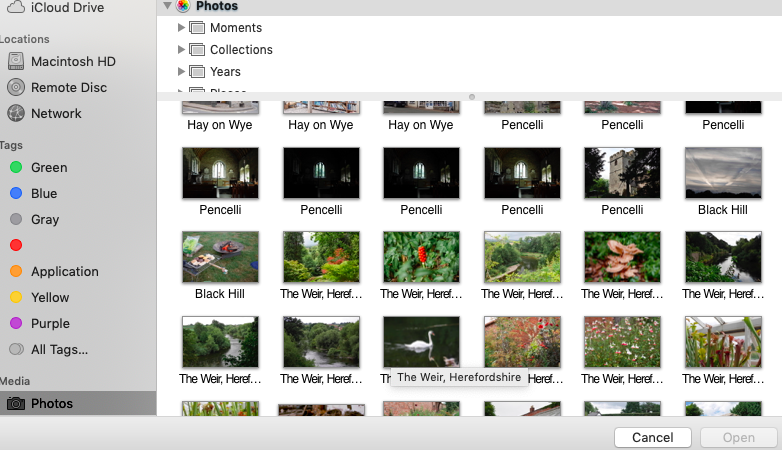 The best answer is to go into Photo's preferences and the first setting under General is the Library location. Change it to 'Show in Finder". Now all your photos will be saved in the users pictures folder. I would love an optio﻿n to browse the photos library directly from publisher and /or link directly to images in the photos app library. @h_d @jmwellborn Something like the place option was what i was looking for!